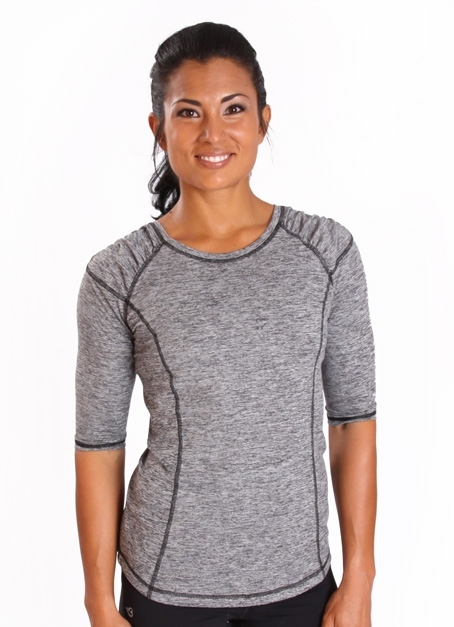 Its functionality and lightweight breathability make this top #1. Built to endure any activity, the lush body fabric offers full range of motion, whether you are climbing, balancing, or downward dog-ing. Moisture-wicking fabric with 4-way stretch construction improves mobility and takes your workout up a notch on the leaderboard.